In this article, I will cover everything I learned about AI and its impact on marketing. We’re just getting started down a new and disruptive path in marketing and it’s very exciting. There’re only three things that can be guaranteed in life – death, taxes and the disruption of an industry. Disruption is happening all around us, every day. Look what Amazon has done to retail, Uber to taxis, LinkedIn to job boards, the Internet to the media, crypto currencies to finance, and so on, and so on. AI alone is predicted to disrupt forecasting, customer service, education, finance, foodservice, personalized healthcare, medical, logistics, loyalty programs, marketing, procurement, public relations, search, and security. According to Salesforce Solutions CTO, Brett Colbert, blockchain is set to disrupt land use, identity, global logistics and shipping, automotive, aviation, manufacturing, prescription drugs, finance, government, banking and many more. It used to be that major disruption across an entire industry occurred maybe once a decade or less. However, in today’s environment, we’re beginning to see whole swaths of industries being disrupted at the same time. Today, we’re beginning to see the very first signs of disruption to come in digital marketing and advertising. Many of us aren’t even aware of what that will look like. ADYOULIKE has integrated with IBM Watson. Salesforce has launched its Einstein technology. HubSpot acquired machine learning company, Kemvi. Blockchain companies like adChain, Bitteaser, Native Video Box and AdHive have all entered the ad tech space. This new technology will make it easier for brands to not only manage its’ big data and get actionable insights, but will drive marketing key performance indicators (KPIs) to new heights. They’ll also usher in a new level of transparency never seen before in ad tech. No matter the answer, it’s likely the vast majority of us have little clue how technology is poised to change our industry forever. 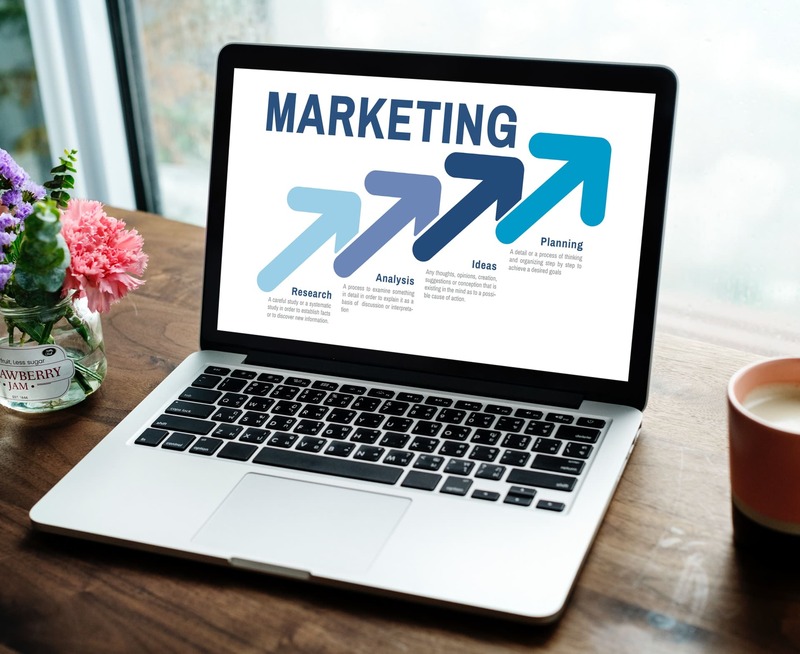 The above-mentioned tech companies are usually the examples given when describing the use of AI and other disruptive marketing technologies. However, email, lead scoring and online ad optimization are merely scratching the surface on what the future holds for the technology that powers our marketing. The future use of these technologies will impact all aspects of owned, earned and paid media. It’s not just their future use, either. The technology exists today to fundamentally disrupt all the marketing and media channels. Many people before me have written volumes on AI. Many still, have written about marketing AI. In fact, my friend, Paul Roetzer, launched the Marketing AI Institute. The site is full of good articles and musings about marketing AI. This is important to note because it signifies that marketing AI is not some trend that’s going away any time soon. So much so, in fact, there’s a hub of marketing AI thought leadership online. According to a Forrester survey, 86% of more than 700 marketers in decision-making roles at companies across the US, Europe and Australia agreed that AI would make their marketing teams more effective and efficient. One of the major problems with marketing AI solutions is one of marketing versus reality. While many solutions tout their use of AI, only a percentage of them are actually providing value using it. The others are using the phrase merely to market the product and drive sales. How AI is actually applied within the solution is what determines its value. AI used to process images and personality types have long been available. They’re considered elementary at this stage and provide minimal value. 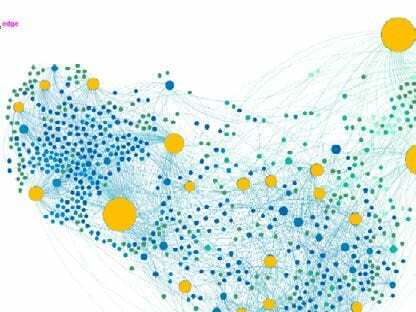 Solutions focused on interpreting many different structured and unstructured data streams to help scale, report on, predict results and improve accuracy are the ones providing value with AI. Many of today’s current marketing AI solutions strictly cater to the person (who) in the seven P’s of Marketing (more on this later). That’s OK. We marketers need those solutions, too. Most of them are merely predictive, as opposed to prescriptive) in nature and still require a marketer to digest the information and decide on which actions to take. For example, using AI to send personalized email at the best time to individual recipients, automating lead scoring and intelligence, and scoring on-page content. These are all examples of marketing AI being used to cater to the person (who) and are predictive in nature using past data. We’re also seeing marketing AI enter into the influencer advertising space, too, or promotion in the seven P’s. These solutions are using AI to efficiently and optimally match influencers and brands, all while facilitating a financial transaction between them. It also exists in the non-paid influencer marketing space, too, for better influencer identification, among other things. In many ways, prescriptive AI can dramatically boost a marketer’s ability to be successful, overachieve and get more done. In the past, this would require whole teams of analytics professionals or data scientists to accomplish the same tasks prescriptive AI can perform today. Assessment: Marketers analyze data, past performance, and best practices to learn what works. They communicate this to stakeholders and colleagues. Recommendation: They use human creativity to recommend new actions that may be successful. These recommendations rely on data from the assessment phase. But they also include healthy doses of intuition, guesswork, and bias. Implementation: Marketers create assets and execute campaigns. They may do this with or without the help of machine systems like automation software. Forrester also discovered that 46% of companies said that their marketing and sales teams are leading the investment in AI technology – the highest of any department. It’s safe to say that the AI genie has been let out of the bottle and marketers need to be ready to embrace it. There are some parts to marketing that fundamentally never change. Take for example, the seven P’s of marketing – product, price, promotion, place, packaging, positioning and people. With online marketing these seven P’s still exist. However, one is consistently forgotten and has been since the first analytics programs were integrated into websites – place (where). What makes place so powerful in the offline world is pretty simple to understand. Where a brick and mortar business exists in relation to other businesses, households, government and infrastructure can impact the visibility and viability of a company in profound ways. This P, as it relates to the online world, is largely ignored by today’s digital marketers. Where a website exists in relation to other websites is important. 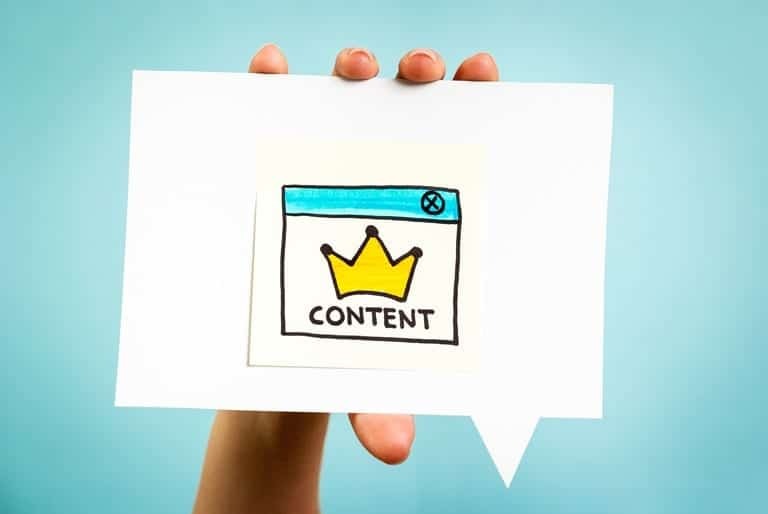 The infrastructure of connections via links from these websites massively contribute to the visibility and viability of a website, and ultimately, the business itself in many cases. Now let’s bring this back around to one of the seven P’s – Place. This is the equivalent of an offline brick and mortar only being aware of the businesses and places directly next door and across the street. In reality, the business could be in a bustling downtown area filled with dozens of shops, restaurants, parks, a courthouse and condominiums. It’s likely this business’s customers stop by some of these other places before visiting it. With most of today’s analytics, a marketer would only see patrons that left the places next door or directly across the street. What if the business knew the exact cadence of places visited by each patron just prior to them making a purchase? This would be very detailed attribution. What if they knew this information about every business in the area? Maybe the business discovers that many of its competitor’s patrons reside in the condominiums two blocks away and they only make a purchase after they run in the park. That would be important information to know. Now the business can inquire about sponsoring the condominium’s newsletter with a coupon or sending an employee to the park dressed up in a goofy costume promoting a sale. Most of today’s analytics programs don’t report the important data mentioned above. Why? Quite simply, because they can’t gather it. It’s too much big data to parse through for the technology that powers much of today’s most adopted analytics platforms. They were built on top of a 15-year-old technology framework. Quite frankly, they don’t have much incentive to change either. Why? 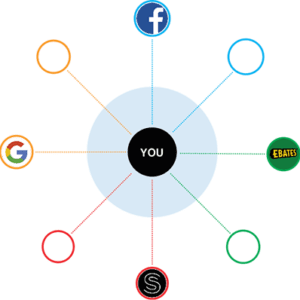 It’s simple – most of the frequently used analytics programs today are owned by one of the big four or so online advertising networks. If marketers had the level of visibility discussed above, they could spend less and get even better results. Instead, these platforms have convinced most marketers to ignore place (where) in our online marketing. They’ve been able to do this by being really good at reporting on the person (who) in the seven P’s of marketing. While person is certainly important, and so are the rest of the P’s, we’ve never been given the complete picture online. As marketers, our view of the Internet is nearsighted with tunnel vision. This means that the decisions we make are made with only a small fraction of the information that exists. In this way, today’s analytics platforms are only one-dimensional. What if AI could take our current one-dimensional view of the Internet and transform it into a truly three-dimensional view? 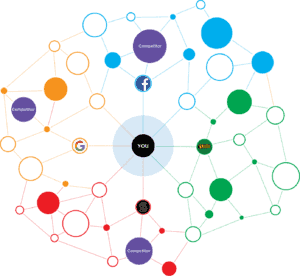 We’d be able to see all of the connections within our potential topical sphere of influence up to three websites away. We’d know which ads and influencers were the most successful at driving clicks and engagement for all the websites that were relevant in our industries. We’d know which affiliates were the most successful within our industry. What I’m describing would be a new analytics system, powered by AI, that would report and track on data up to three degrees away from a website. In other words, we’d see data about all the websites that link to ours, the data about websites that link to them, and the data about websites linking to them. To do that with the most adopted analytics programs today would require unfettered access to thousands, and in some cases millions, of websites’ analytics. The amount of data generated would be on a massive level and likely unusable at any scale for marketers. This model of analytics and reporting paints a fuller picture for marketers that includes full attribution and prospective customers’ online journey. Not so much how we typically describe the customer journey—only one degree of separation on owned, earned and paid channels—but, a three-dimensional picture. Having access to this kind of data can have a huge impact on the performance and cost of paid media by informing marketers which sites to stay away from and which ones to double down on. It can also be a boon for earned media, influencer marketing and media outreach. 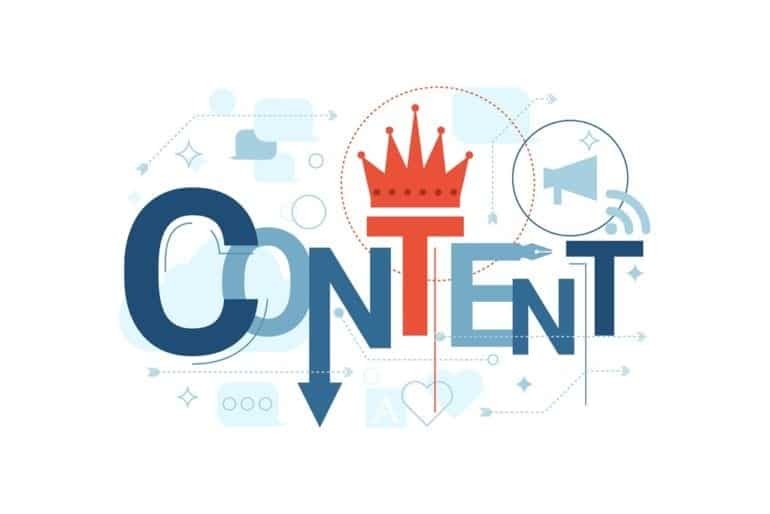 From an owned media perspective, data like this can help inform marketers about what content in their industry is the most popular or underserved – true content intelligence. The paid and organic social media insights would be much richer and thorough in this model, too. There has been increasingly more attention paid to the idea of a Customer Data Platform (CDP). Defined as unified, integrated storage of all your customer data, this idea was first introduced in 2013. A CDP is critically important in understanding prospects and customers in a holistic way. This includes both pre-acquisition and post-acquisition. Unfortunately, very few marketers have a true CDP. Instead, most have a disparate array of systems and tools that don’t share data or insights very well. Those marketers who have access to CDP technology have a massive advantage over those that don’t. The best marketing analytics and attribution technologies have CDP built into them. The real value for marketers lies in what the technology can do with the data and the recommendations they provide. AI plays a critical role in this feature. As with most of today’s analytics, marketing attribution is very one-dimensional in nature. This is simply a reflection of the data being delivered by much of the current analytics technologies. 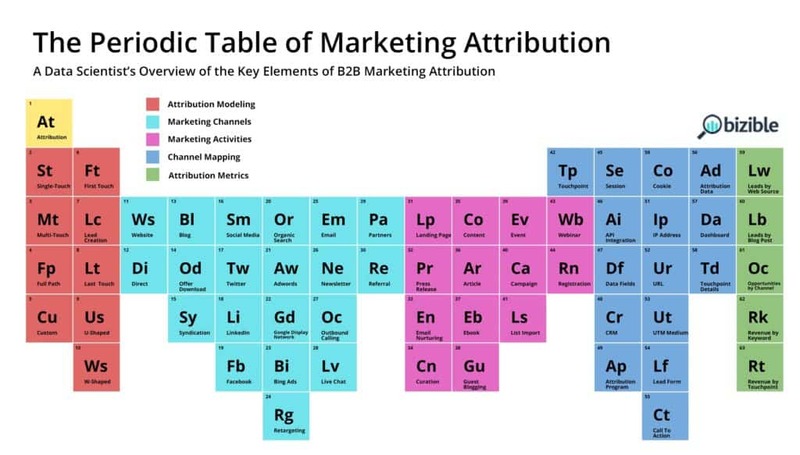 The below infographic from Bizible does a good job at explaining the different types of modeling, marketing channels and activities, channel mapping, and metrics associated with marketing attribution. For example, referral traffic is listed as a marketing channel. We can easily go into our analytics du jour and find the amount of traffic that was delivered by a referral source. Some of that traffic could have become customers, too. This is an example of attribution modeling three degrees away. The other websites listed could be other referral sources, social media, email, search engines, etc. As a marketer, this is extremely valuable information to have. If we knew what website two was, we could go directly to them and partner on a sponsorship. Maybe it’s a popular blog or online publication. Going the earned media route and pitching them a story to write is a possibility, too. Maybe website one is a popular influencer in the industry. That’s a possible marketing partnership. The above is an extremely simplified example of three-dimensional attribution modeling and is fairly easy to understand. 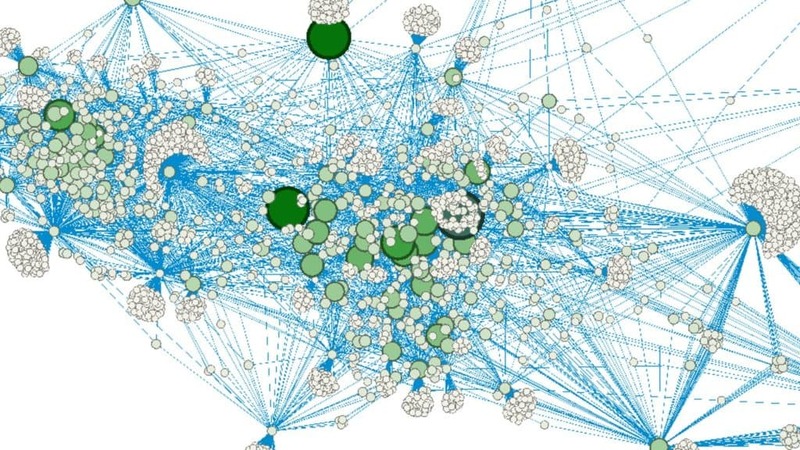 Now imagine a model that showed everything that linked to all traffic sources and everything linked to those. Pretty hard to imagine, right? It would look something like the graphic below. The above model can inform marketers which sites to stop advertising on or double down on, while identifying new and better performing sites in which a marketer should invest. It does the same thing for earned media, as well, but in this case, it’s where to spend time, as opposed to budget. 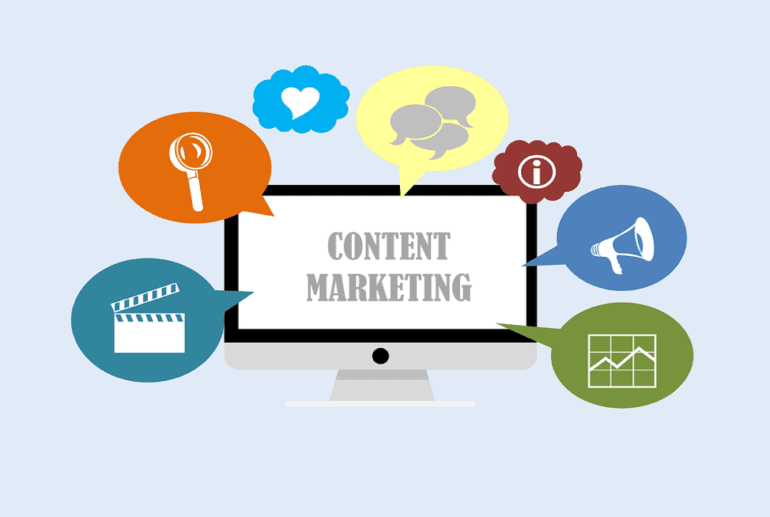 It also enables marketers to gain true content intelligence on which topics are resonating or are being underserved in their contemporary sphere of influence online. Each website represented in the above on its own might not be very important. However, their relationships and connections with the rest of the websites are. Discovering and identifying relevant clusters are, too. Another thing that a three-dimensional map of swaths of the Internet can do is triangulation. Meaning, previously unknown traffic sources (direct traffic) can be revealed in many cases. This is very significant because some websites can have huge percentages of its traffic labeled as direct. Imagine making marketing decisions based off of one-dimensional attribution modeling and missing large percentages of data because it’s hidden as direct traffic. Marketers don’t need to imagine it because we’ve been doing it for well over a decade already and it’s been accepted. Most of us only see 20% of the data in a relevant digital ecosystem. It’s the other 80% we’re not tapping into to inform our marketing decisions. The yellow above represents the 20% of the digital sphere of industry influence a marketer can see. This has been acceptable since the early 2000’s. Today’s AI-driven analytics makes it possible, for the very first time, to see the remaining 80%. I know what many readers are thinking, how can we get our hands on this data and once we get it how do we make sense of it? What’s outlined above is truly big data. There’s a reason this article started off talking about marketing AI and analytics. When the two are married it makes this possible. The technology currently exists to do this and it’s not just predictive – it’s prescriptive AI. Meaning, it looks at copious amounts of structured and unstructured data to explicitly tell the marketer what to do next. In this way, analytics as we know it has changed forever. Every tactic associated with earned, owned and paid media described in the ebook offers stand-alone solutions and are not part of an integrated AI-driven analytics platform. This is helping drive the glutton of martech software marketers are confronted with every year. This is not ideal. In 2017 alone, the martech software ecosystem was over 5,000 vendors. When these categories are combined under one AI-driven analytics platform it makes marketing-wide integration with sales and service software much simpler and the learning curve much easier to navigate. Not to mention, the procurement process for one all-encompassing solution is much more palatable than the alternative. Otherwise, marketers are looking at adopting 12 unique AI-driven software solutions to power their marketing. This is why marketers have adopted marketing automation software this decade. Sure, it’s possible to enlist eight different software vendors to do what one marketing automation vendor can accomplish, but it’s not ideal, for obvious reasons. Adopting multiple marketing technologies, in general, produces ununified data streams stored in separate places. These systems are disconnected from one another and offer incomplete data as a result. Imagine having to look at 12 unique dashboards to decipher strategy and tactics in marketing. That’s what many are doing. That said, now is the future because all-encompassing AI-driven analytics solutions exists that can unify the customer view, make big data actionable, parse structured and unstructured data, predict outcomes, prescribe actions, provide full marketing attribution, and open up 80% more of the web to marketer’s eyes. For over a decade, marketers have been beholden to just a few analytics vendors that also sell online advertising. They really have no incentive to help marketers spend less and still get better results. Data independence is the only way to avoid this inherent conflict of interest. The alternative would be to stop doing online advertising all together or to slash budgets. Proctor & Gamble announced last year that it would be slashing its online media spend by up to $140 million because of brand safety concerns, bots and objectionable content. This problem could have been easily solved with a comparatively conservative investment in AI-driven analytics. This technology would empower Proctor & Gamble to focus on Place (where) in the seven P’s of marketing – that’s at the core of their problem. 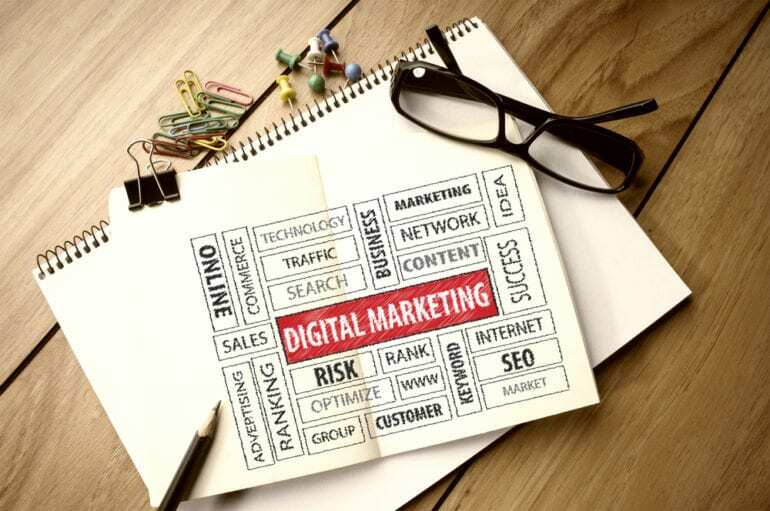 It’s not just paid media that benefits; paid, earned and owned media can be positively impacted from this new technology – from influencer marketing and SEO, to display advertising and social media. If you want to do a deeper dive into AI and these tactics, check out my full ebook is available for free. I set off to learn everything I could about AI and marketing and it’s my sincerest hope that you learned something new, too, from this journey. A version of this article was first published on Social Media Today.